This would be a vintage year for the Bealach Beag. The weather was stunning and certainly surprised many riders who lined up at the start wearing waterproofs. 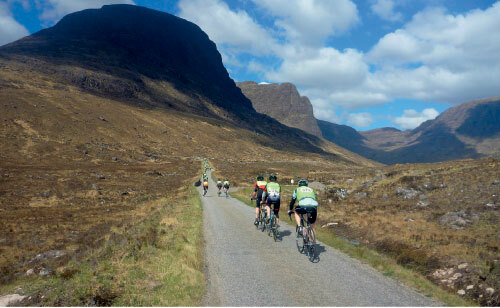 For many, this was their first attempt at the ride and they sought out snippets of information from seasoned Bealach veterans about the hardest parts of the course. The veterans obviously took great glee in recounting tales of derring-do and great battles that they had endured with the gradient and the elements. The six-mile ascent of the Bealach na Ba is the longest road climb in the UK. It starts out steady before steepening in the final third, ending in several switchbacks on the steep corrie headwall. Many had stopped for a rest or were now pushing their bikes to a lesser gradient. I passed one stopped rider inexplicably wearing steel-toe-capped work boots. However I was aware that the battle was only just beginning. 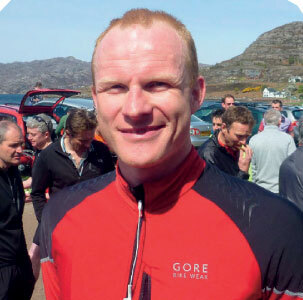 The next 23 miles would take in another 3,298 feet of ascent, the equivalent of another one and a half ascents of the Bealach na Ba – to be made more difficult by the coastal winds. One minute I was hurtling down a descent loving every minute of being a cyclist, the next I was grovelling up the next climb, nose to the handlebar, cursing the twisted mind that built such a road along this coastline. Shieldaig came into view across the loch and I gave one final push. 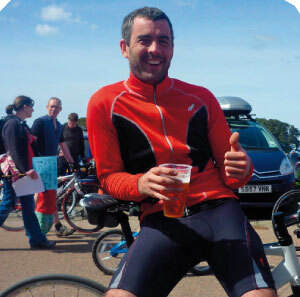 Before I knew it I was sitting at the lochside recounting tales of my own battles… and planning for a return trip.